The flowers of this exquisite water lily open reddish-pink and darken gracefully as they age. 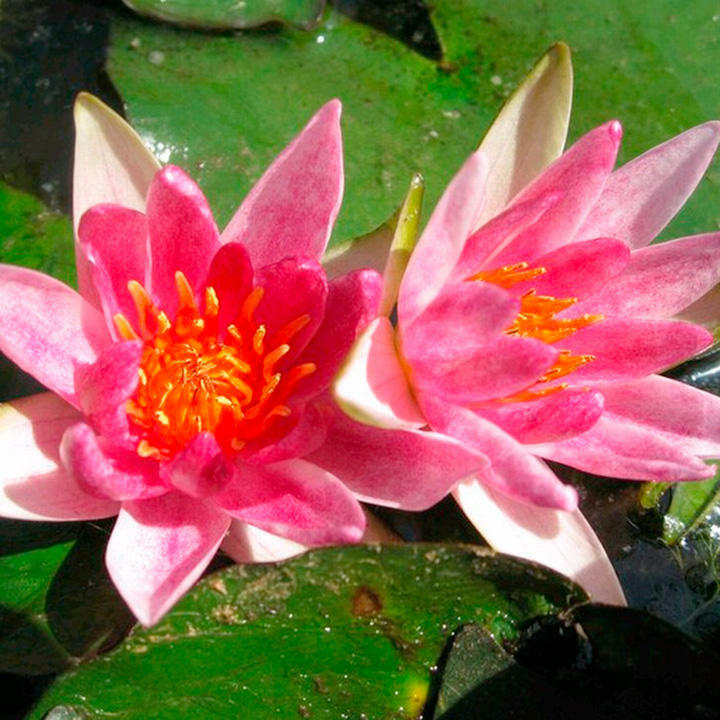 Its compact habit makes it perfect for even the smallest ponds as it is the tiniest blooms of the red varieties. Plant in still water away from splashing fountains. Lower gradually so the leaves can stretch to the surface within a few days. Remove dead leaves and flowers during the growing season. Flowers June-September. Minimum depth 15cm, maximum depth 40cm. Minimum spread 30cm; maximum spread 45cm. Dwarf growth rate. Supplied in a 1 litre pot.